Readers of this blog know that our firm is actively working to help combat fraud against our government, including health care fraud and government contracting fraud. Sometimes, these two fields overlap. In this post, we look at a case of pharmaceutical fraud that is akin to cases of government contracting fraud and procurement fraud, with some of the fundamental concerns of health care fraud. As with cases of Medicare fraud and military contracting fraud, our San Francisco government fraud whistleblowers’ law firm works with people who see transgressions in the health care contracting area and opt to fight this dangerous misdeed. This month, McKesson Corporation, a San Francisco-headquartered company that distributes pharmaceuticals, agreed to pay $18 million allegations brought by the Centers for Disease Control and Prevention (“CDC”) against the company. Per a Department of Justice press release, vaccine distribution agreements provided that McKesson would distribute government-purchased vaccines to practitioners. 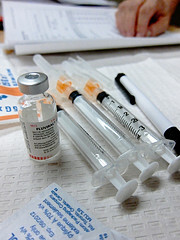 According to the government, the contracts required McKesson keep the vaccines at an appropriate temperature during shipping. The government claims McKesson failed to set temperature monitors to the appropriate range between April 2007 and November 2007. The recently settled suit alleged that McKesson knowingly submitted false claims for payment while failing to meet its contractual obligations. These allegations were initially raised in a qui tam lawsuit filed by Terrence Fox, a former finance director with a division of the McKesson Corporation. As the DOJ explains, qui tam provisions allow a private whistleblower to bring suit on behalf of the government for False Claims Act violations. Pursuant to these provisions, the whistleblower is entitled to a share of funds recovered by the government as a result of such a lawsuit. Fox’s share has not yet been determined. The Cost of Fraud in Health Care Contracting: Duplicate Efforts Help, But What About Next Time? As a Modern Healthcare article notes, McKesson has not admitted to any wrongdoing and says no vaccines were compromised. The DOJ release suggests the CDC does agree on the last part. There are redundant measures used to ensure the safety of the vaccines and the temperature monitors were secondary to packing procedures which don’t appear to have been improper. We are glad that the vaccines remained safe, but agree with sentiments expressed by several government voices in the press release. Assistant Attorney General Stuart F. Delery notes that a company must comply with the terms agreed upon on in their government contracts, especially when it involves products that protect the public. He says “If a contractor does not adhere to the terms it negotiated, its conduct not only hurts taxpayers but also could jeopardize the integrity of products, like vaccines, that Americans count on to be safe.” Derrick L. Jackson with the Department of Health and Human Services agreed, especially when the underlying contracts protect our children (note: it is not clear in the press release exactly what type of vaccines were involved, but the Modern Healthcare article notes the contract involved a program aimed at vaccinating children). Jackson adds that entities that fail to meet such important obligation violate our trust and holding them accountable should be a top priority. What if the packaging people also chose to skirt the requirements too? What if the dual failure led to vaccines that were either defective or outright dangerous? What if vaccines became ineffective leading to an outbreak of measles or even polio? What if instead of protecting our children, vaccines sickened them? There are lots of safeguards to prevent this from happening, but it is still the danger created by health care contracting fraud. Health care fraud is a broader transgression than many assume and sometimes it is much simpler. A scheme like that alleged above might better be described as government contracting fraud involving health care than “traditional” health care fraud. Military contract fraud endangers our national security, health care contract fraud endangers our well-being. In either case, others may have a hunch something is amiss it is often insiders who have the knowledge to truly support a legal claim. If you know that a company is cheating in its government contractor role and defrauding the government, you can make a huge difference and may also be eligible for a very significant reward. Call our Northern California whistleblower’s firm to arrange an appointment to discuss how you can help and how, in turn, we can help you.